TOMS RIVER – Ocean County Library is celebrating its ninetieth anniversary this year in a fun and unique way: by highlighting each of the decades it has served our residents, and June celebrates the 1960s. What better way to remember the 60’s than with the music of New Jersey’s own crooner, Frank Sinatra, as emblematic of the decade? The 1960s were pivotal in Sinatra’s career and marked by key changes like breaking away from Capitol Records to form his own label, Reprise Records. He also landed his own television show, produced and starred in films, and took Las Vegas by storm. Lacey, 10 E. Lacey Rd., Forked River, 609-693-8566, Mon. June 29. 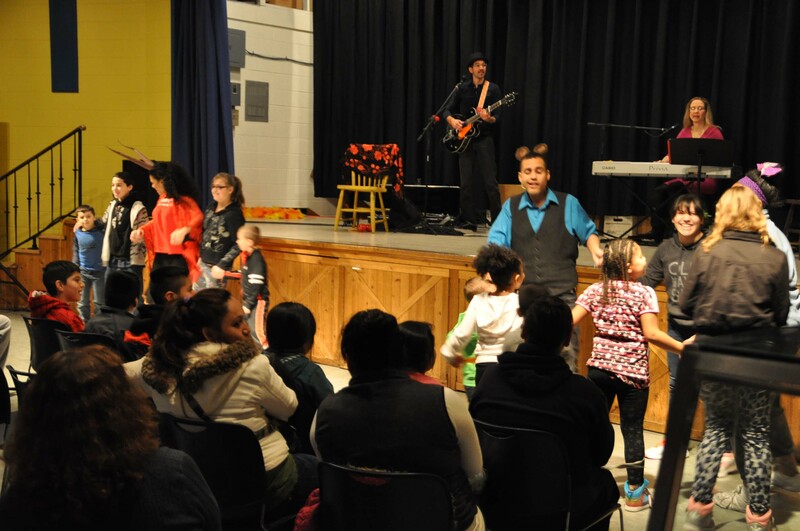 Three other groups will perform musical concerts that will help residents rock the house and bring them back to more carefree days. 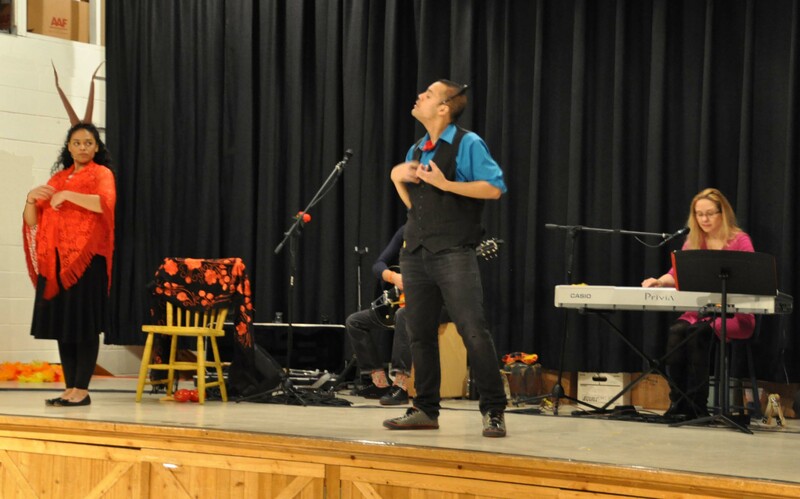 BJ & the Band will perform the best R&B music from the 60s at 7 p.m. Wednesday June 24 at the Little Egg Harbor branch, 290 Mathistown Rd., 609-294-1197. The Jersey Four will present a tribute to Frankie Valli and the Four Season 7 p.m. Saturday June 27 at Long Beach Island, 217 S. Central Ave., Surf City, 609-494-2480. 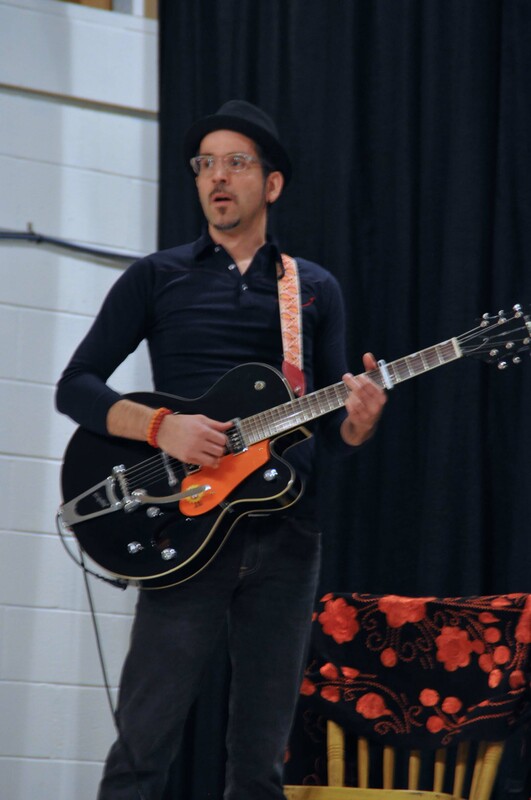 And local band Strictly 60’s will perform Pop and Rock songs of the 1960s at 2 p.m. June 27 in Manchester, 21 Colonial Dr..
All of the concerts are free but registration is required. To register, telephone the branch or visit the library’s website www.theoceancountylibrary.org . BJ & the Band performed at the Manchester branch’s 25th anniversary earlier in May. TOMS RIVER – Four branches of the Ocean County Library will present “Recognizing Teen Depression, Suicide Warnings and how to help” in May and June. The programs, part of the Tools for Teens series, are designed to help a person recognize and respond to signs of depression and other common behavioral concerns. Special focus will be given to risk factors and warning signs for suicide as well as resources that are available to help. Lacey, 10 East Lacey Rd., Forked River, Monday, May 18, 609-693-8566. Toms River, 101 Washington St., Tuesday, May 26, 732-349-6200 or 609-971-0514. Tuckerton, 380 Bay Ave., Monday, June 1, 609-296-1470. Brick, 301 Chambers Bridge Rd., Tuesday, June 9, 732-477-4513. The programs are presented by Turning the Tides of St. Barnabas Health Center and funded through a Youth Services Commission Grant for Ocean County Library’s Tools for Teens series. Free Continuing Education Credits are available for educators and professionals who attend this program. The programs are free and open to the public. Registration is recommended. To register, telephone the branch, stop by the branch in person, or log onto the library website www.theoceancountylibrary.org . 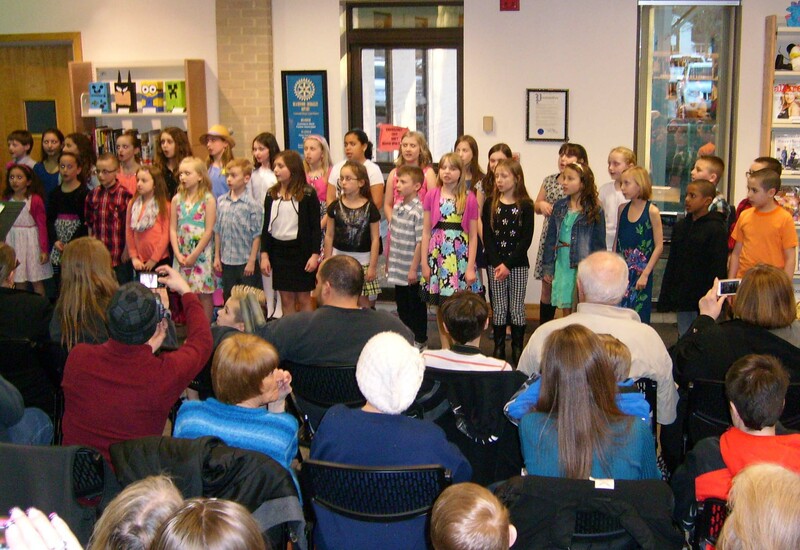 The Berkeley branch hosted “Art Through the Seasons” last night and students from the Berkeley elementary schools displayed their artwork throughout the library. The artwork will remain on display throughout April. The branch also held an artists’ reception last night. 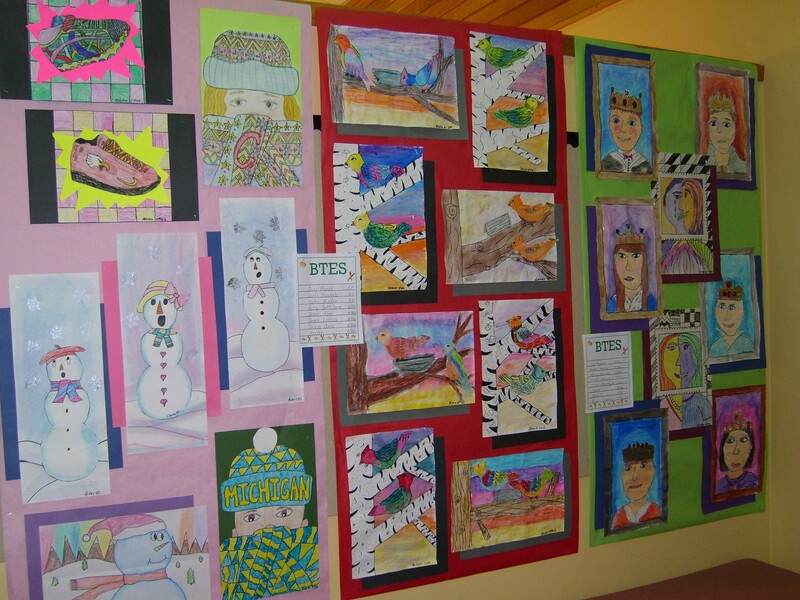 The students’ families were able to appreciate their child’s artwork. Some of the children also gave a dance and song performance. The event was sponsored by the Berkeley Township art teachers and the Berkeley Township Education Association. 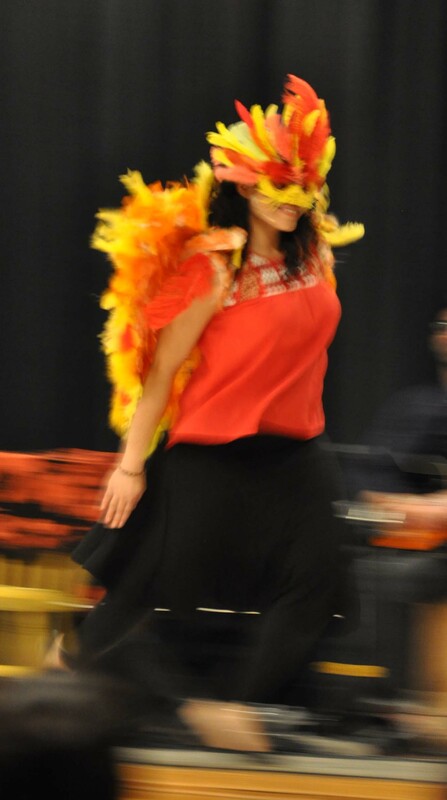 The event was held in loving memory of our friend and art teacher Karen Ratushny. Those schools included the Bayville School, H & M Potter, Clara B. Worth, and the Berkeley Township Elementary School. About 563 people attended this event. TOMS RIVER—Fourth generation undertaker turned author Todd Harra will speak about the book he co-wrote “Over Our Dead Bodies” 7 p.m. Thursday at the Ocean County Library Toms River Branch, 101 Washington St.
“Over Our Dead Bodies: Undertakers Lift The Lid” was co-written with Ken McKenzie and is a collection of the quirky, bizarre and humorous anecdotes borrowed from funeral directors across the United States. The book is a collection of real stories from morticians and funeral directors that shows the lighter side of our mortality. From police interventions during a funeral riot, to the phenomenon of funeral crashers who show up only for a free meal, it gives a glimpse into the more surreal and whimsical side of the funeral industry. This program is free and open to the public. To register, visit the Ocean County Library’s website www.theoceancountylibrary.org or call 732-349-6200. Dreamcatcher Repertory Theatre cast members (left to right) Allicia Rivas, Michael Aquino, Jane Keitel, and Chris Kent performed in “Mi Casa Tu Casa” Wednesday afternoon at the Hugh J. Boyd Elementary School. 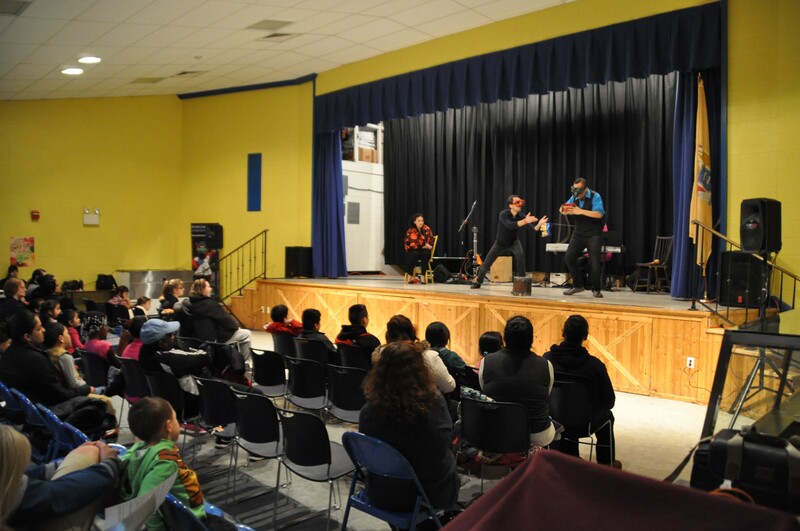 The Upper Shores branch of the Ocean County Library hosted Dreamcatcher Repertory Theatre’s bilingual production of “Mi Casa Tu Casa” Wednesday for children and families at the Hugh J. Boyd Elementary School, Seaside Heights Wednesday. More than 200 people filled the school’s auditorium. The four-member cast blended music and folktales where a humble mouse could charm a lovely cockroach, a young girl could find beauty in her new home in American, and the feather of a Thunderbird could bring prosperity to a person who believes. 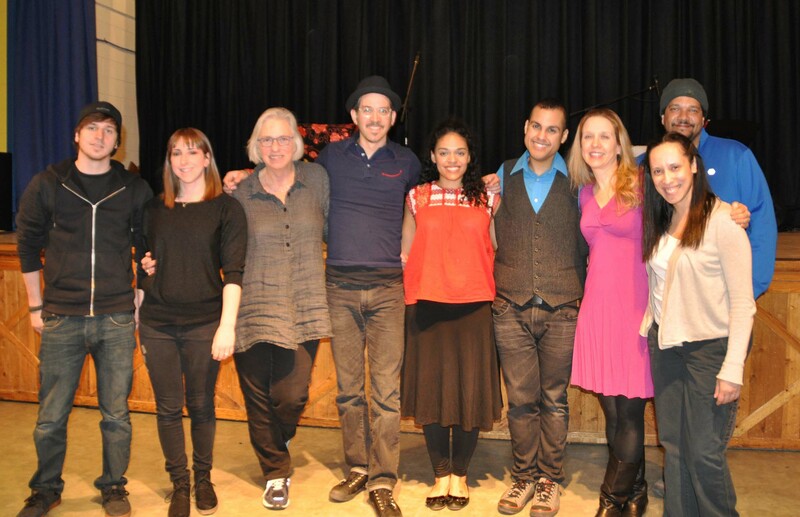 Musicians Michael Aquino (electric guitar) and Jane Keitel (keyboard) accompanied storytellers Allicia Rivas and Chris Kent through the hour long program, a presentation of the New Jersey Theatre Alliance’s annual Stages Festival. 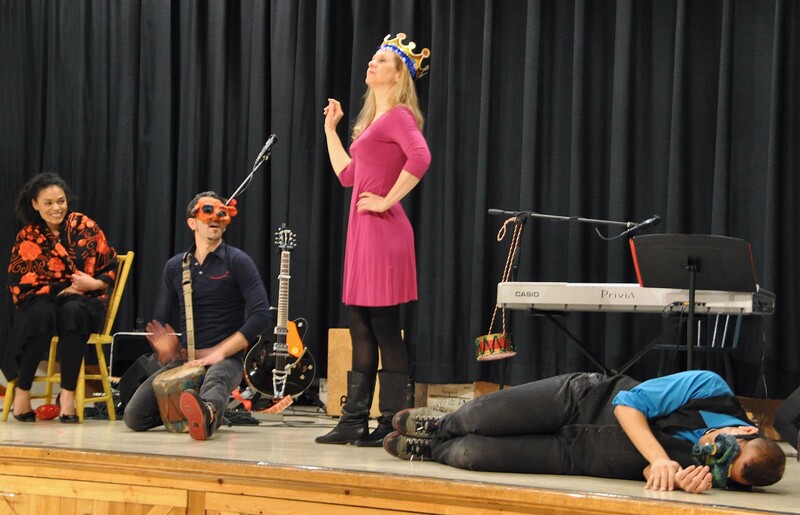 The annual festival brings professional theater companies to local neighborhoods in March, delighting children, families and other adults with Broadway-quality programs. 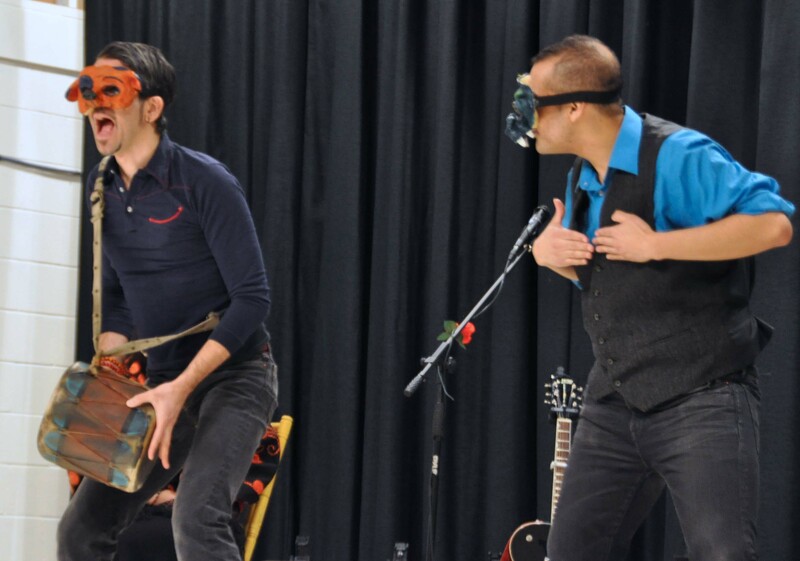 This marks the eighteenth year Ocean County Library has partnered with Stages Festival. It presented eight different productions at 13 branches this year. The programs are presented by the library free of charge. 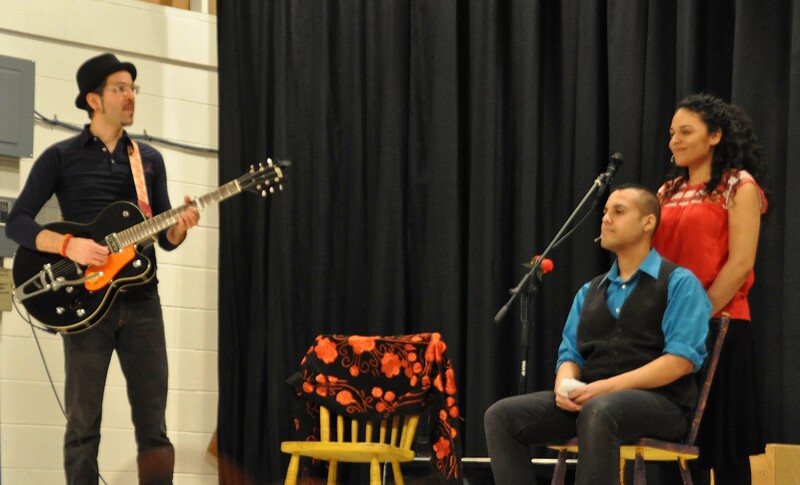 Guitarist Michael Aquino accompanies a skit as a young girl learns about diversity in her new home in America. According to legend, a feather from the Thunderbird will bring a person prosperity in the coming year. 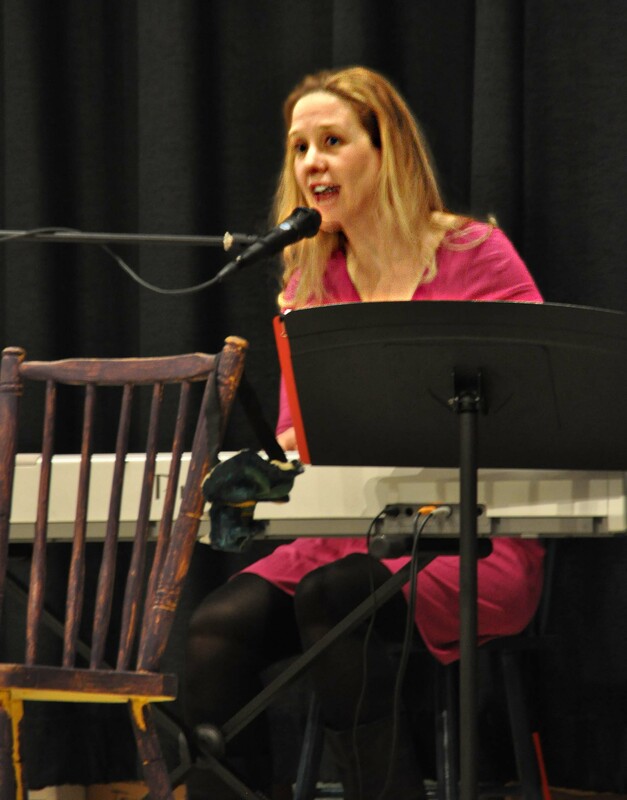 Musician Jane Keitel played the keyboard during Wednesday’s “Mi Casa Tu Casa” performance. 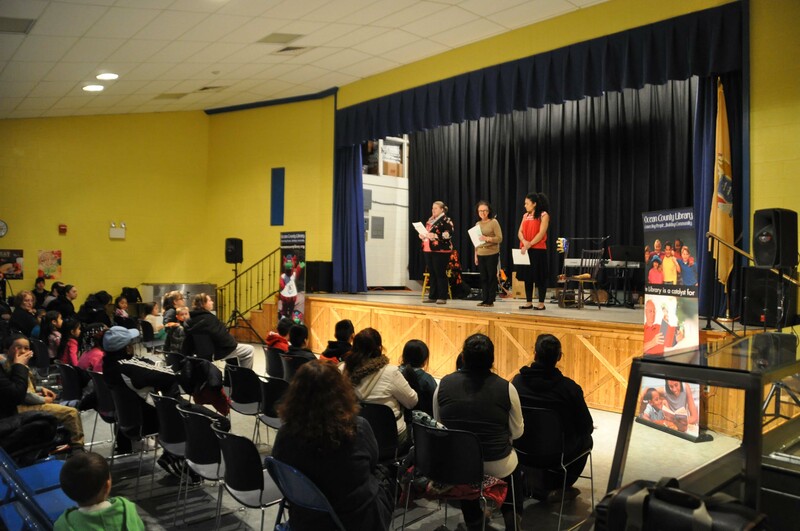 Ocean County Library thanks the cast and crew members for presenting such a wonderful performance of “Mi Casa Tu Casa” at the Hugh J. Boyd Elementary School Wednesday. TOMS RIVER – Nearly 30 million Americans, more than nine percent of the country’s population, have diabetes, according to Monmouth Medical Center. Do you know if you have it? The Center for Healthy Aging, in cooperation with the Pharmacy Department at Monmouth Medical Center’s Southern Campus, will present the basics of diabetes with Certified Diabetes Educator Irene McNamara at three Ocean County Library branches in April. She will discuss the signs and symptoms of diabetes as well as its prevention and treatment options. Attendees who have fasted for two or more consecutive hours will have the option of having a complimentary blood glucose screening. Light, healthy refreshments will be provided. 2 p.m. Monday April 20 at Manchester, 21 Colonial Drive, 732-657-7600. Diabetes is a disease in which the body does not properly process food for use as energy, according to the Centers for Disease Control and Prevention. When a person has diabetes his or her body either does not make enough insulin or cannot use its own insulin as wall as it should, resulting in a buildup of sugar in one’s blood. It can cause serious health complications including heart disease, blindness, kidney failure, and lower-extremity amputations. It is the seventh leading cause of death in the U.S.
TOMS RIVER – In her Grande Dames of the American Revolution series, actress and historical re-enactor Maggie Worsdale will present a program about Martha Washington. 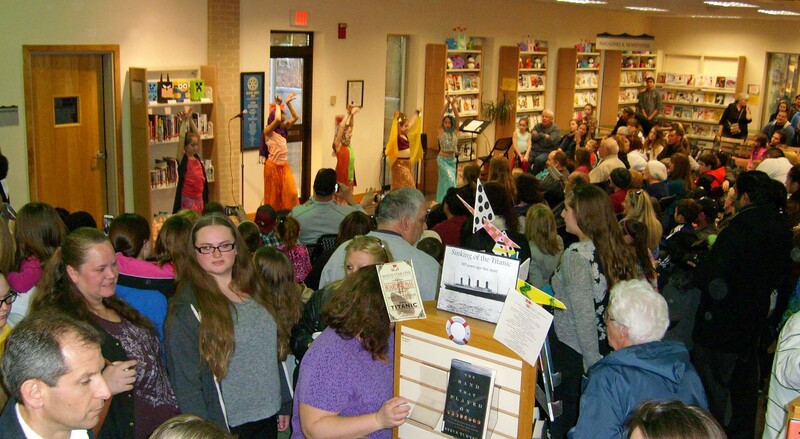 The presentation, to be held in three Ocean County Library branches, is part of the library’s National Women’s History Month recognition. Martha Dandridge Custis Washington was called Lady Washington by American soldiers who fought in the Revolution because of her kindness to them and concern for their health during the war. 7 p.m. Thursday March 26 at the Brick Branch, 301 Chambers Bridge Rd., 732-477-4513.